Baby fashion will never be the same! From the Riviera to the neighbourhood kiddie pool, your baby will have the cutest bum around. * Coated nylon layer sandwiched inside that will hold in the messiest stuff a baby can throw at you! Can you use this pant as a waterproof nappy cover as well? No! 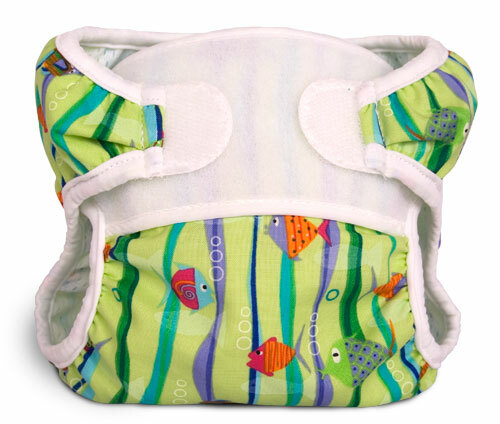 Although the Swimmi makes a great cloth nappy cover, you should not use the same pant for both nappies and swimming. Click the button below to add the Bummis Swimmi to your wish list.